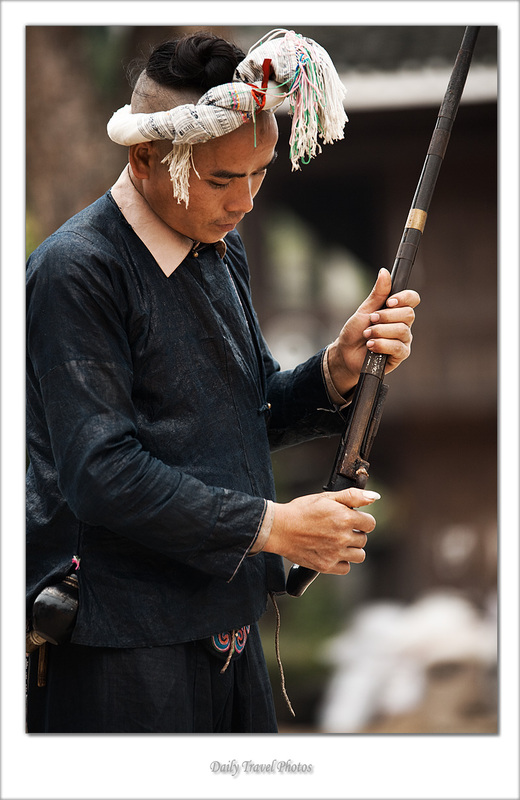 A Miao ethnic minority man loads his rifle for demonstration. Even in present times, Miao men are always armed with a weapon. Very nice portrait! I am a big fan of travel photography and like yours a lot. Thank you for your kind words, Robert.